This video is no longer available. 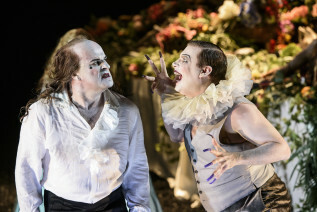 Join us this summer for our next free online streams -Vanessa – or check out our YouTube channel for more opera extracts. 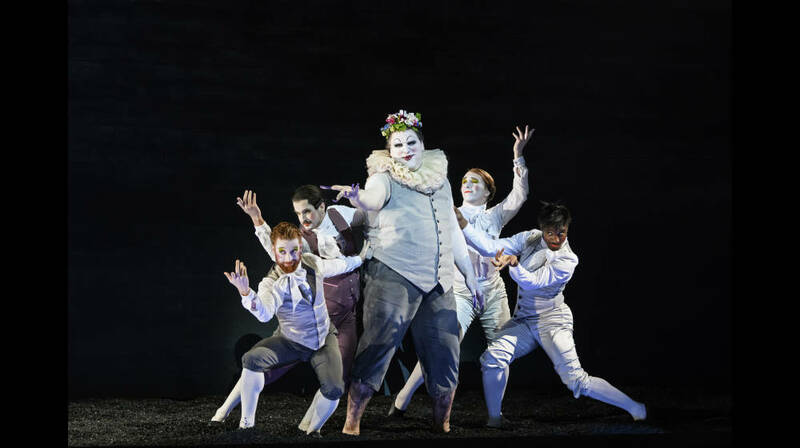 Barrie Kosky’s blazingly original and visually spectacular staging of Handel’s oratorio pairs baroque music with contemporary choreography and lavish designs to create an enthralling theatrical fusion of old and new. You can see Saul captured live at Festival 2015 in cinemas across the UK on Thursday 26 July. You can also watch Saul online, on this page and on telegraph.co.uk. Bookmark this page and set a reminder now so you don’t miss out on Saul here from 6.30pm on Thursday 26 July. The opera will be available to watch here on demand until 11.59pm on Thursday 2 August. Our new production of Vanessa will streamed live* on Tuesday 14 August and be available to watch on demand until Tuesday 21 August. A look at Barrie Kosky’s acclaimed production of Handel’s Saul.